Dubai, UAE, October 06, 2018: If you ask parents, the hardest part of back-to-school season isn’t just getting their kids back into school, but getting them kitted out and ready to face any-and-all educational hurdles they are likely to face in the coming academic year. That’s right: we’re talking about school stationery. It was hard enough trying to figure out what your child might need in the era before personal, digital tech became a thing. Colour pencils, geometry sets, the right kind of notebooks, textbooks, school bags – it was a pretty big list. Throw in the need for tablets and laptops and apps, and you end up with a whole mess of things that qualify as necessities when it comes to your child’s education. It’s also expensive. 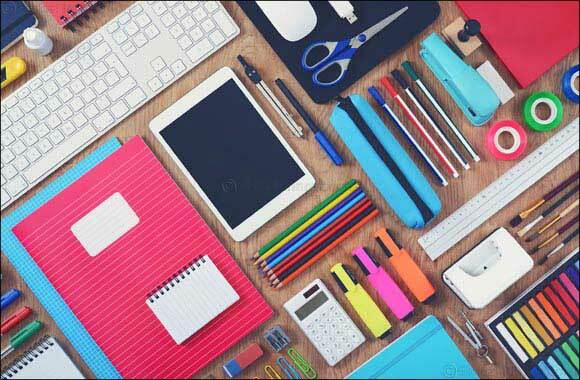 Educational tools and materials in the GCC are among the most expensive in the world, according to a report released in January 2018 by the United Global Educational Resources (UGER), a GCC-wide educational solutions provider. But despite this growing list and despite the rising costs, the appetite for school stationery is higher than ever. And we’re not talking about demand simply rising because there are more and more kids going to school; parents (and maybe even their kids) want not just more stuff, but more of the best stuff. If you look at the data, it clearly shows that there has been a healthy increase in trade of school related items. Global trade enabler DP World’s flagship facility, the largest container terminal in the Middle East and the tenth largest in the world by volume, is the premiere gateway for all goods and commodities entering and school stationery and supplies are no exception. Since 2012, there has been an eight per cent overall growth in the volume of school supplies coming through Jebel Ali. Even if you look at individual items instead of the whole picture, such as ball point pens, pencils, textbooks, you still see growth across the board. He adds that these figures are for traditional school supplies and not new-age educational tools, which can likely tip the growth figures even higher. This growth has also necessitated the development of a supply chain robust enough to handle this kind of trade. It isn’t as straightforward as we’d like to think. School stationery quite literally comes from all over the world: from Europe, Africa, India, China, and many other countries. All these goods get funneled into Dubai through Jebel Ali Port, so the port itself needs to be able to handle not just current volumes, but anticipate any growth or risk traffic congestion and seeing a slowdown in operations. Then, you need to move the goods from the port to wherever it needs to go, and that again needs an efficient logistics system to properly store and transport these goods without causing backlogs. And this is just for school stationery, and this is just to create a supply chain for the existing trade in this sector. Anticipating future school supplies volumes and being ready to meet the demand is an entirely different ball game.